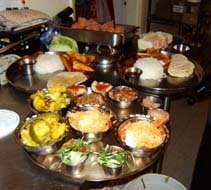 Everyday, morning to night, Sanatani Didi is in the kitchen preparing delicious meals for the Lord and the devotees. Her helpers are always there to back her up. 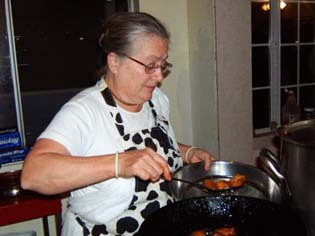 Without her trusty crew, it would be impossible to cook so much prasadam. Each person helps with different tasks. 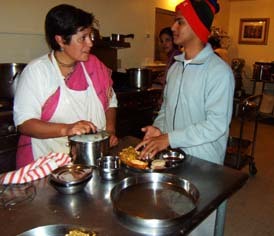 Sureshvari Didi, the honored ashram resident and expert cook, makes breakfast for the devotees every morning. Kamala Didi is always helping with various preparations, but her speciality is making sweets. Whatever she creates - raspberry rhubarb, strawberry shortcake, or cookies - everyone always asks for more. 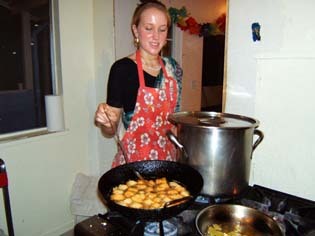 Kirtida Didi from Mexico has the special service of cooking for Srila Gurudev. 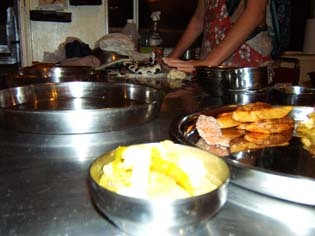 Ranajit Prabhu, His Divine Grace's personal servant, tells her what kinds of foods Srila Gurudev must take for his health. Kirtida Didi happily makes chapatis for our dear Gurudev. 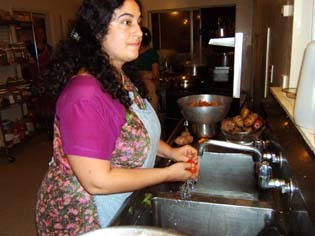 Lalita Didi, the daughter of Kirtida Didi, helps to prepare Gurudev's meals. 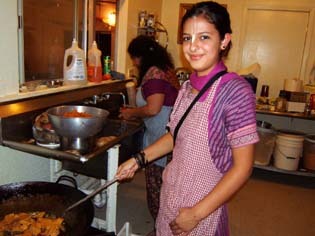 Madhurya Priya Didi is often helping in the kitchen as well. 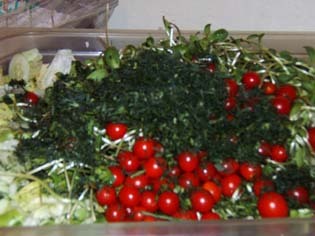 She makes this refreshing and healthy salad for the evening meal. After all of the preparations are ready, Ramai Prabhu (the faithful pujari) offers them to their Lorships, Sri Sri Guru-Gauranga Gandharvika Giridhari. 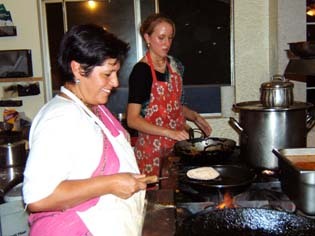 Lalita Didi and Vaidehi Didi prepare the plates for the Deities. In the meantime, Srila Gurudev's plate is ready to be delivered. Last but not least, after all the cooking is finished, several devotees wash the pots and clean the kitchen, leaving everything spotless for the next day. 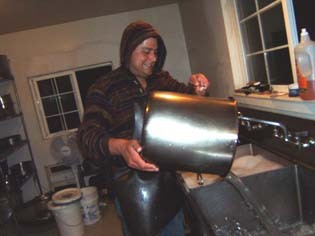 Kitchen seva ki jaya!